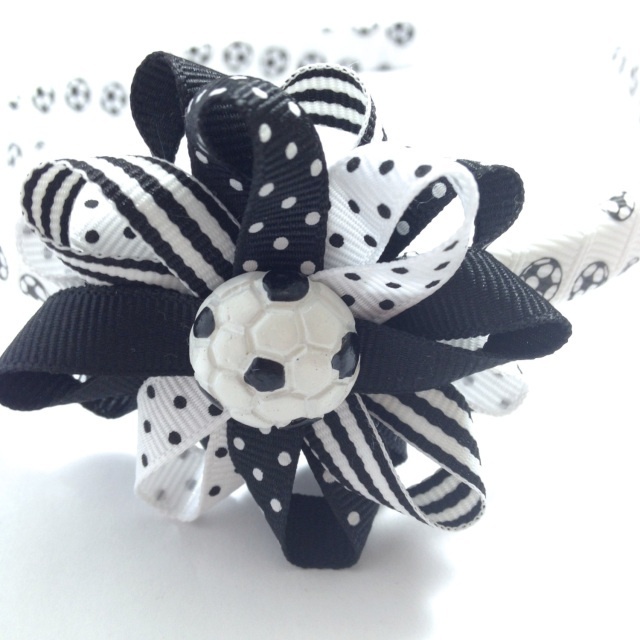 You will receive 1 soccer hair bow headband hand wrapped with soccer ball print ribbon. I made this hair bow with black/white Swiss dots, white/black Swiss dots, black/white stripe and solid black ribbon with a soccer ball flatback resin center. The bow measures approx. 2.5 inches. I heat seal all ends so they shouldn’t fray. 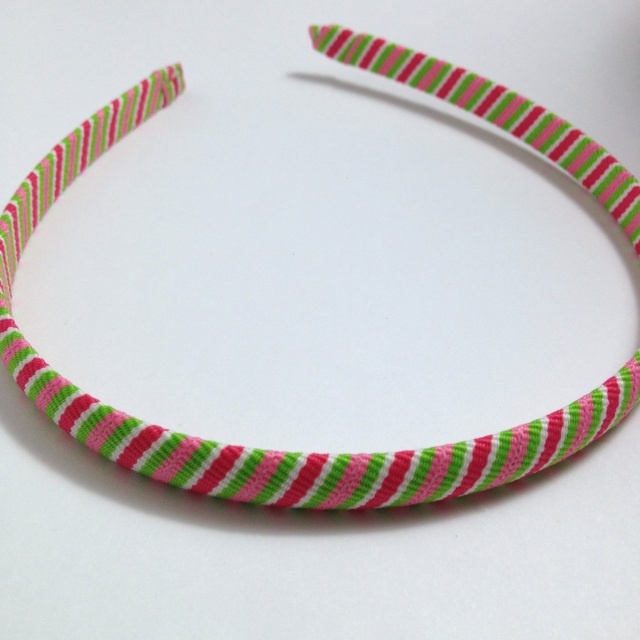 This headband measures 1/2 inch at its widest and 14 inches from end to end. Headband should fit most children through adults. These are perfect for all girls. My daughter and I have worn these for years and love them. They are comfortable and work great. 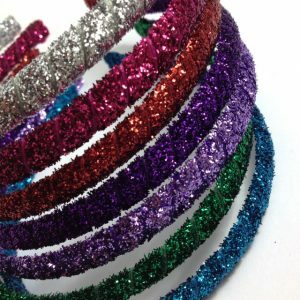 These are great for wearing everyday and are also fun for parties, sporting or school events. I would love to create something special for you. If you have an event coming up or simply want to match an outfit please let me know. When requesting a custom order please include the colors you would like in addition to the size of the hair bow and headband. 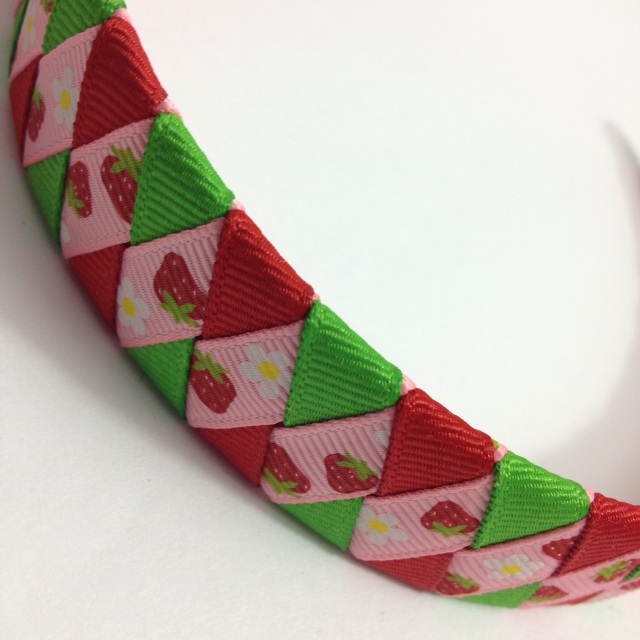 Hair bows can be made in any size, headband options are 1/2 inch to 1 inch wide. Please contact me with any questions you may have or if you would like to request a custom order. 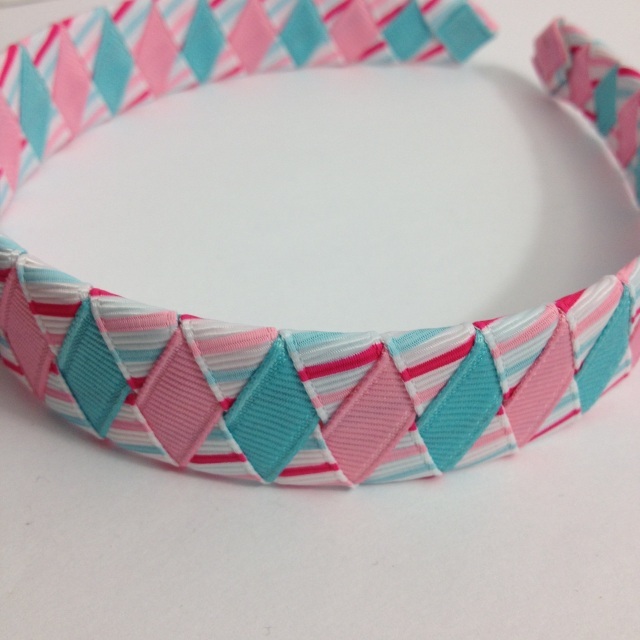 I offer handmade to order accessories. Everything is made by me after purchase. I love custom orders so please contact me if there is something you would like but do not see. I do my best to have orders sent as soon as possible but please allow at least a week, sometimes longer depending on how many orders I have and your order size. Please feel free to contact me with any questions you may have.